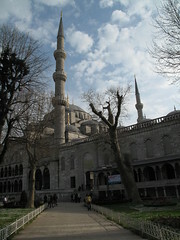 It was Byzantium when the Greeks founded the city in 667 BC. 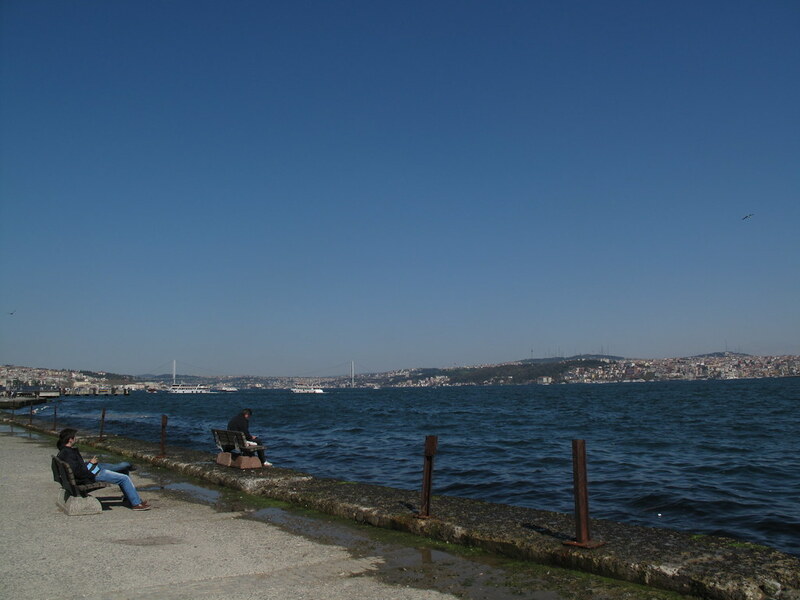 It later became Constantinople, poised at the edge of the Roman Empire, overlooking the Asian shore. 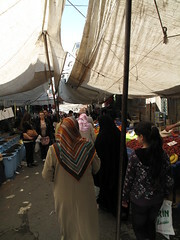 Its fall in 1453 at the hands of the Ottoman Empire signaled the end of the Middle Ages, and the city remained firmly in their hands until, nearly five hundred years later, the Arab Revolt destroyed the Ottoman rule from within. With such history, you wouldn’t be faulted to expect a somber, beautiful city, drenched in history and drama; visit only its historical quarter of Sultanahmet, and that is exactly what you’ll get. 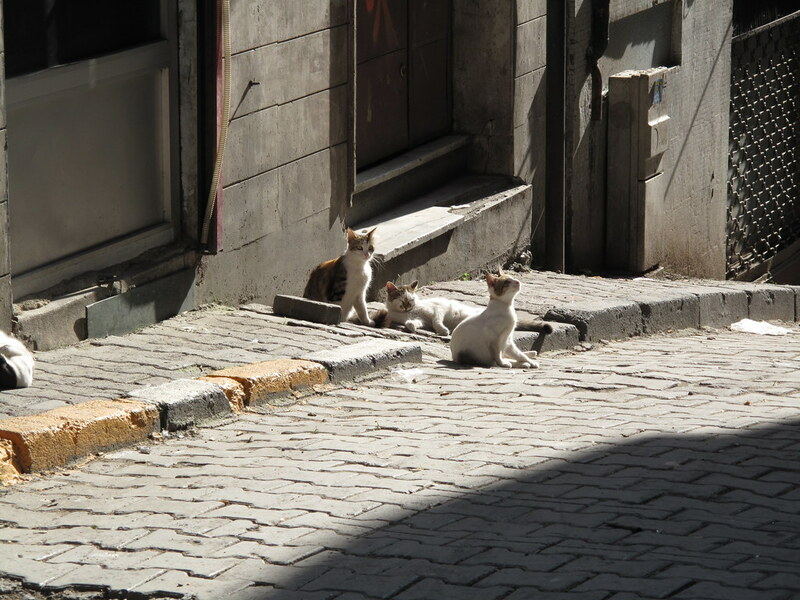 But sprawled across on the other side of the Golden Horn lies a more modern, fast-beating heart of Istanbul: one filled with a Balkan energy and friendliness, where good food goes down better with aniseed spirit, and where young Turks live busy, cheerful lives. 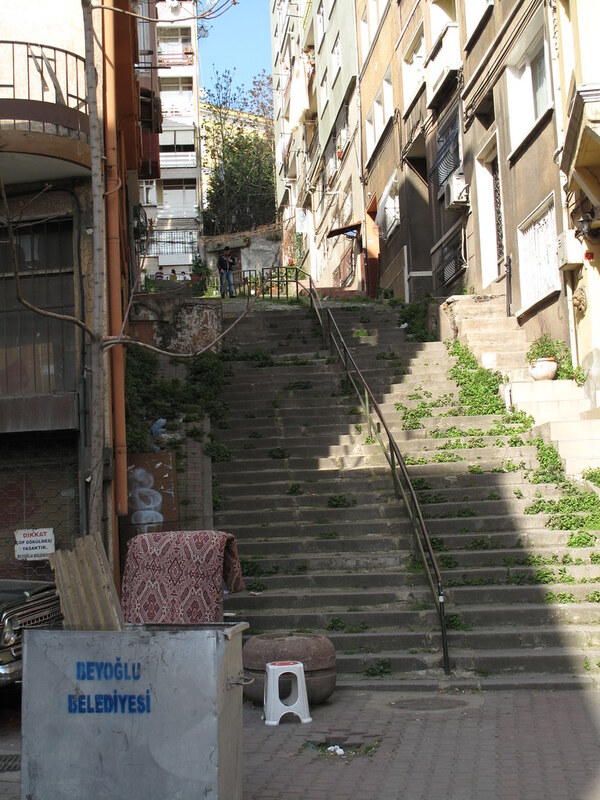 This is where Helene and I spent the most of our three weeks in Istanbul: not in the tourist district that lingers in the shadow of the Blue Mosque, but near the vibrant terraces, restaurants and markets of Beyoğlu; thanks to Caroline, a friend from our Shanghai days, who welcomed us into her apartment as if we were family. As we settled into our temporary home in Istanbul, Helene found herself yearning for the simple pleasures of home cooking. And so, every Sunday for the next three weeks, we visited the Beyoğlu market, a sprawling farmers’ market, sprinkled with clothes and home accessories, that stretches all the way down one of Istanbul’s many hills. 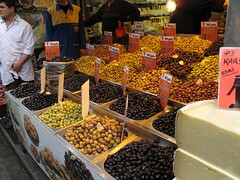 Here, we haggled over fruits and vegetables, and sampled fresh olives. 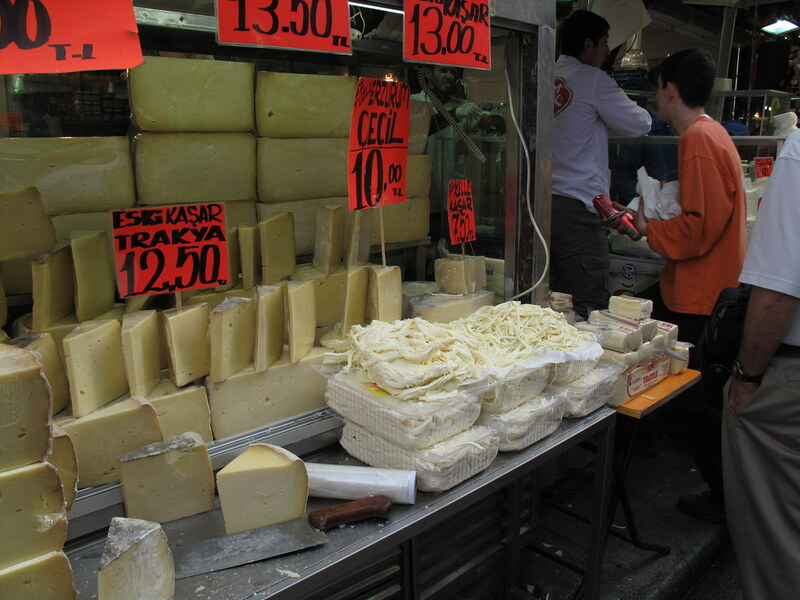 We bought varieties of cheese, wielding the few mispronounced Turkish words we had managed to grasp. Even the lure of cafés began to dull as we settled into our rhythm. 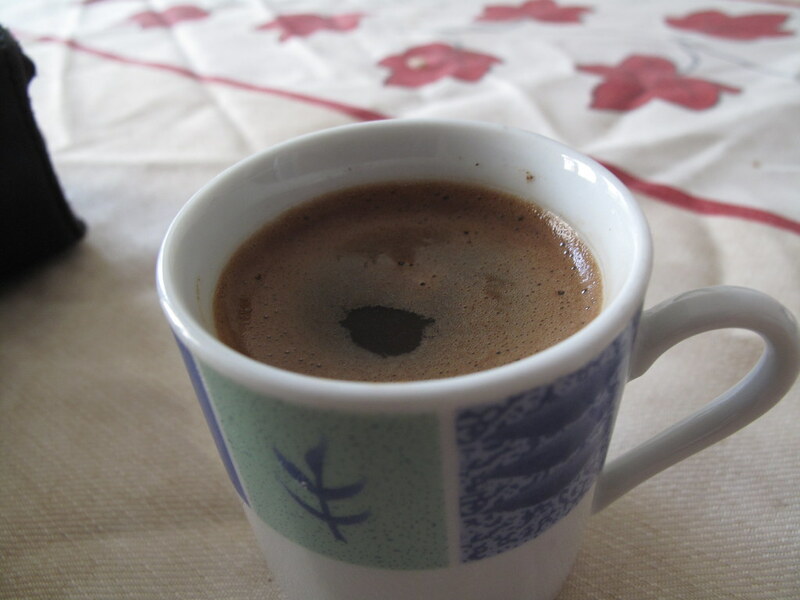 Soon, I was practicing with Caroline’s Turkish coffeemaker, and working hard to improve my coffee’s foam as Helene drank all the cups I could muster. 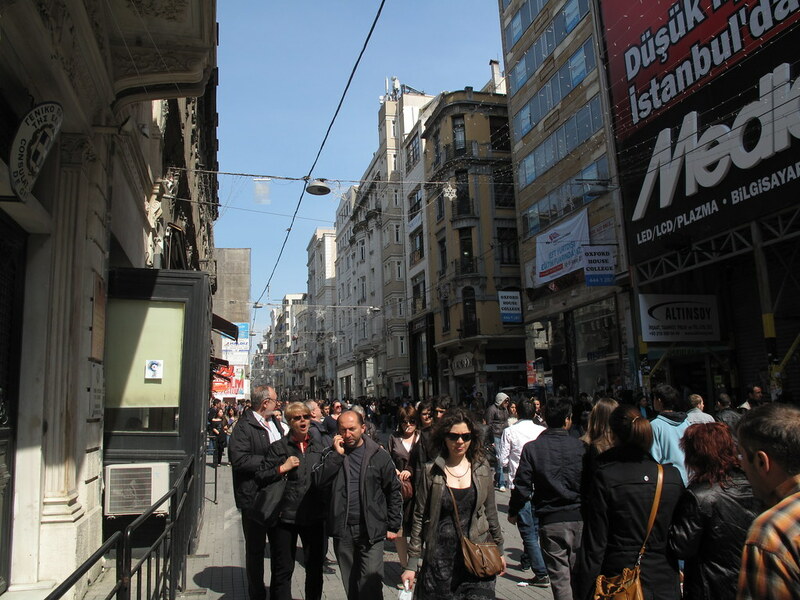 Long walks along Istanbul’s main commercial street of Istiklal Caddesi provided us with pleasant afternoons. 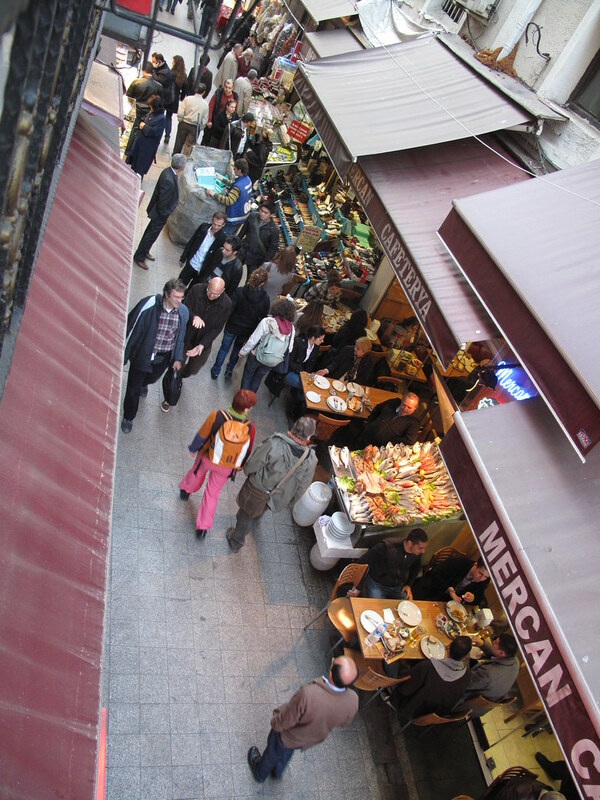 Istiklal, stretching from Taksim Square to Tünel, is nearly always impossibly crowded, and its side-streets offer dozens of terraces and cafés to while away the hours. 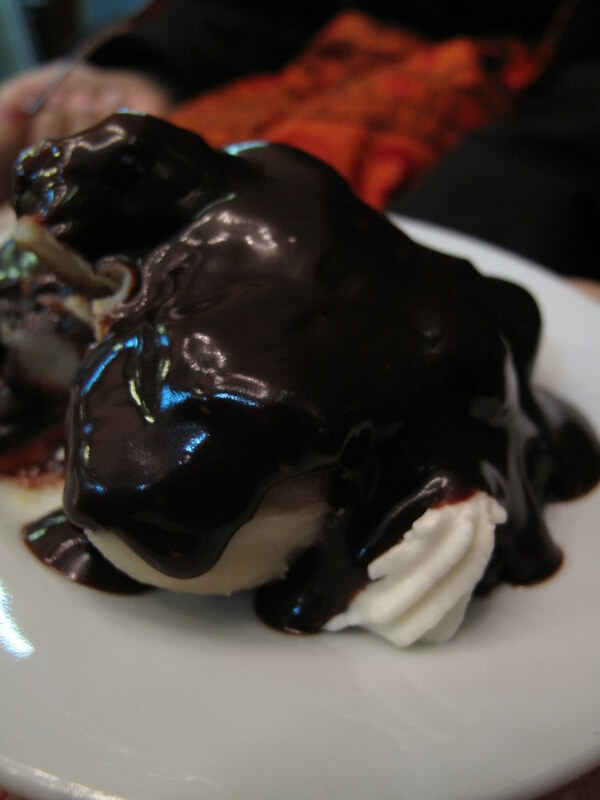 One of our favorite stops was the famous Inci, alleged birthplace of the profiterole, where the chocolate-drenched pastry melts in your mouth. 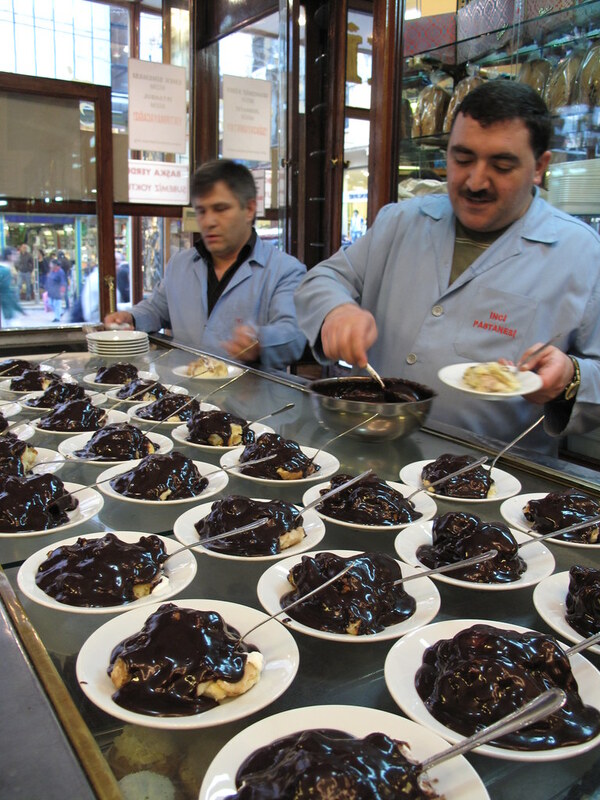 Istiklal Caddesi might be busy during the day; but when evening comes around, the wide pedestrian street takes on its true purpose, and it soon fills up so completely that you have to shoulder your way past its twisting alleys, filled with diners and revelers. 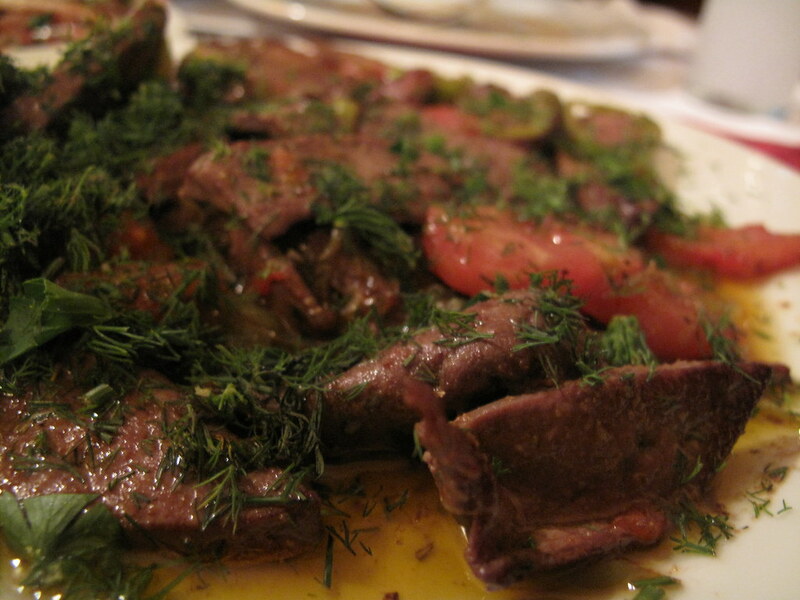 Our favorite evening stop was Üstad: a locanta, or traditional Turkish restaurant. “Chez Jean-Jacques” is how Caroline called it, due to the maître-d’s resemblance to French singer Jean-Jacques Goldman. “Je suis Jean-Jacques,” he said to introduce himself. And later: “Your second home in Istanbul is here.” From the nose up, he did indeed make a solid Goldman impression, but his warm hospitality and humor were all Turkish. In Turkey as in most of the Middle East, mezze, appetizer-sized dishes, occupy a central position in the meal. They go together fabulously with rakı (aniseed spirit), so much so that they often become the de-facto meal on a night of drinks. 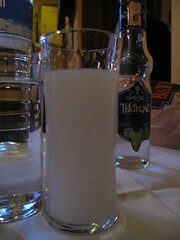 Rakı is drunk diluted with water, and even then it packs a solid punch; fortunately, the savant blend of spices of the mezze, as well as the delicious fresh bread, make it go down easy. 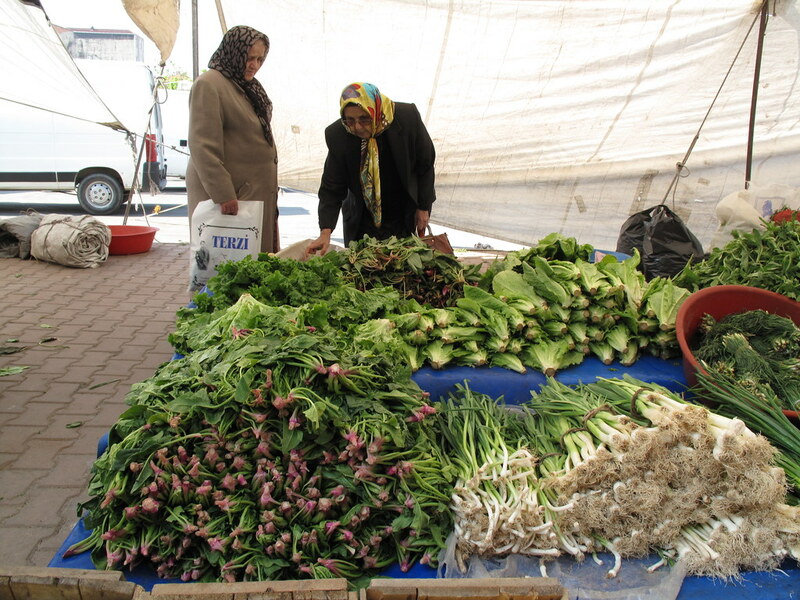 As in many places in Istanbul, Üstad’s service was exemplary, both friendly and efficient, and willing to throw in the occasional gratuity to truly make you feel welcome. “This is the country of service,” Caroline told us. 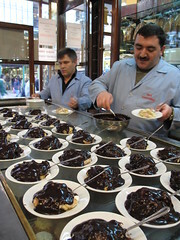 And indeed, the Turks could teach the French a lesson or two about professional courtesy and hospitality. A lot of travelers visit Istanbul to explore its past; but although the previous centuries have dotted the city with architectural marvels, its present is worth a visit all by itself. Of all the cities we visited in our world trip so far, Istanbul is the city that made us feel the most at home, whether we were deciding on that week’s supply of olives, or stumbling home after a night on the town. We could imagine ourselves living here, at least for a while, discovering one more café, walking down another sidestreet in search of the perfect döner. Home, after eight months on the road, turns into an elusive concept; but Istanbul has captured our hearts. And as the saying goes, that’s all the home you need. 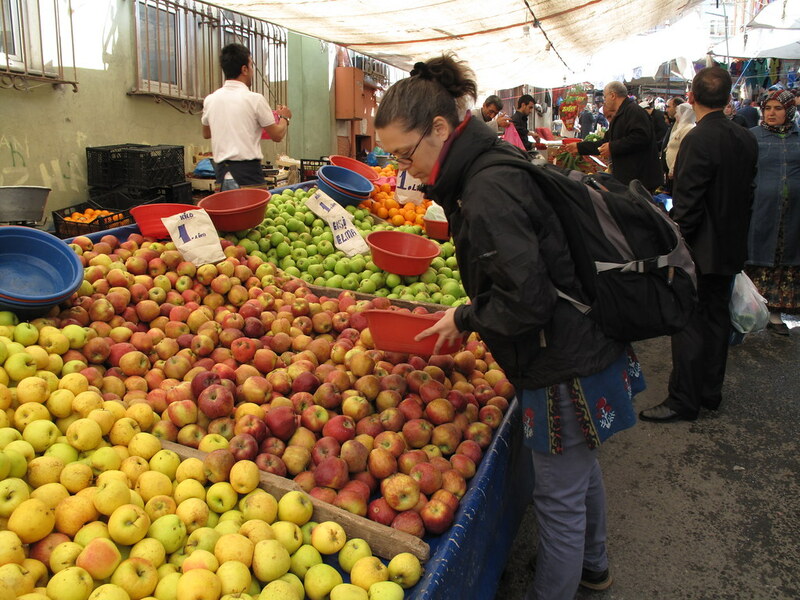 A big thank you to Caroline, who welcomed us into her Beyoğlu apartment for a staggering three weeks, from which we could convince ourselves we were not tourists but residents, at least for a little while. Thank you also to Romain and Ece, friends of a friend, who showed us a very Turkish welcome and shared with us their passion for local Turkish products. 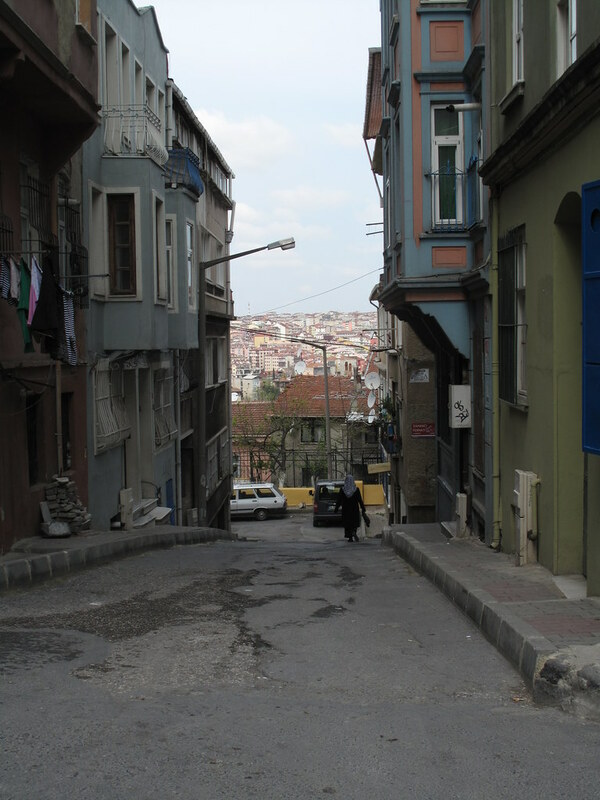 Istanbul is a fabulous city to explore as a local and not a tourist; if you do not have the benefit of a friend in the city, consider Couchsurfing, as Istanbul features an enthusiastic, friendly, and very active community of couchsurfers. 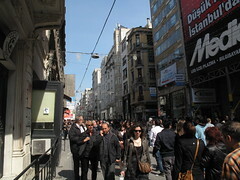 Otherwise, there are numerous hostels near Istiklal, away from the usual tourist ghetto of Sultanahmet. 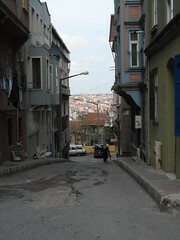 Check out Neverland Hostel, down the hill from the boulevard but in a very interesting neighborhood nonetheless. 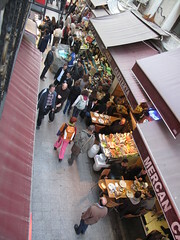 Inci can be found on Istiklal Caddesi, past Galatasaray Lisesi towards Taksim. 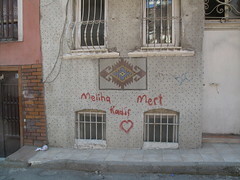 Look for it on the left side of the boulevard as you walk towards Taksim Square; you’ll spot the crowded doorway soon enough. Üstad lies on the northern side of Istiklal, on Kameriye Sokak. 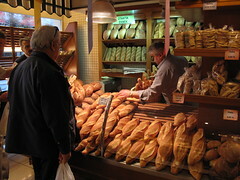 If you meet Jean-Jacques, tell him Daniel and Helene say hello! Ah my favorite city in the world. Looking back to making my way there for a bit this summer. You’ve done a great job of capturing the spirit of the place in this post. 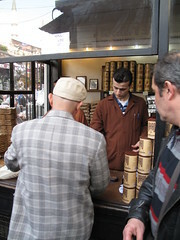 I visited Istanbul during a two-week back pack trip through Turkey in april and I LOVED it. such a great and exciting city! as the ashcloud struck during this time, we stranded there another five days. certainly there are worst places to get stuck in! 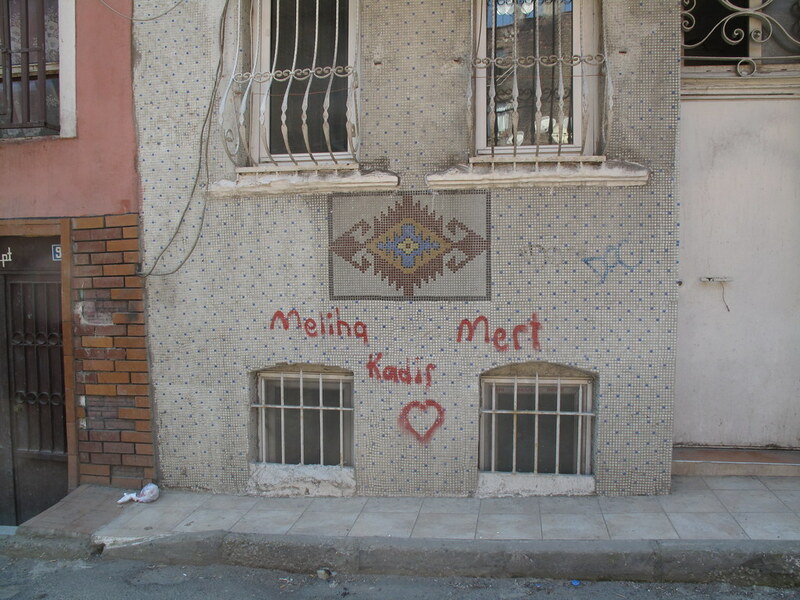 I wonder why Istanbul made us feel at home…maybe because we left a part of us there?